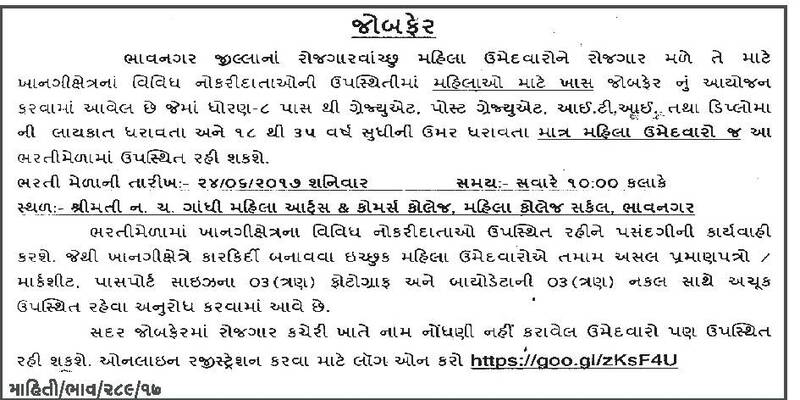 Rozgaar Bharti Mela in Bhavnagar on 24-06-2017 : Employment and Training Department Bhavnagar has published Recruitment of Rozgaar Bharti for below mentioned posts. More information please read below mention details carefully. 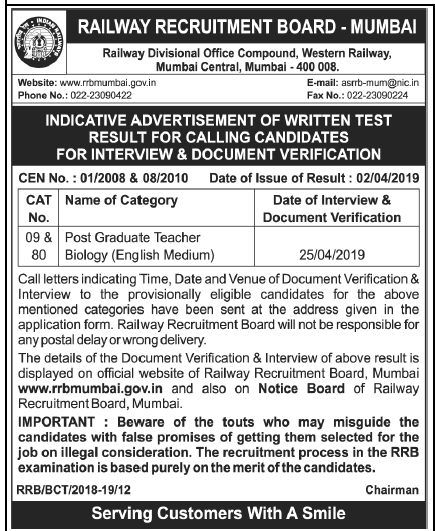 Education Qualification: Please read Official Notification carefully. How to Apply: walking interview with all original certificates given below address. 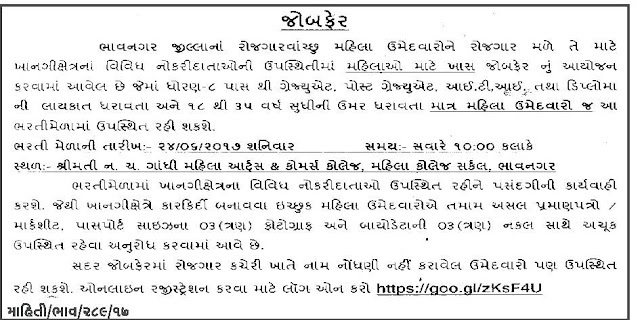 Venue: N.C. Gandhi Mahila College of Arts & Commerce, Mahila College Circle, Bhavnagar.